Picture house below can you make reference, if you are looking for inspiration for modern home design. A house with a modern interior designed with a minimalist building. 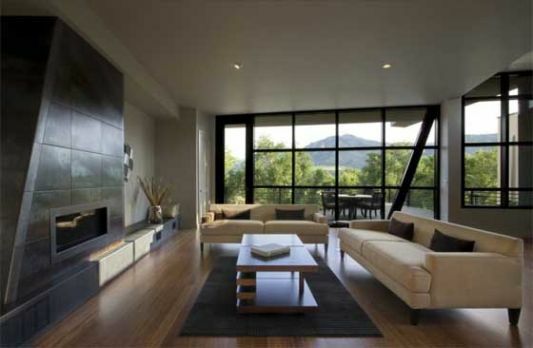 Structuring a minimalist home that looks roomy and comfortable, may be able to help find your dream home. 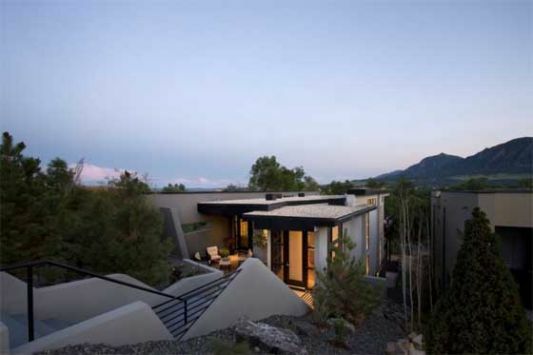 Design houses are designed not too big, occupying land in the area of Colorado. This house was designed by Studio HT, they designed a home to live with minimalist modern interior. Interior house that is not too broad, used with a more open design, complemented by a variety of modern furnishings, ranging from living room to the kitchen. To add a nuance in the house, furnished with a good light game. Small lamps are widely used in interior areas, forming an atmosphere of exotic, romantic and comfortable. Building this house is much use natural colors like black and white, it features elegant and modern impression of a minimalist home. 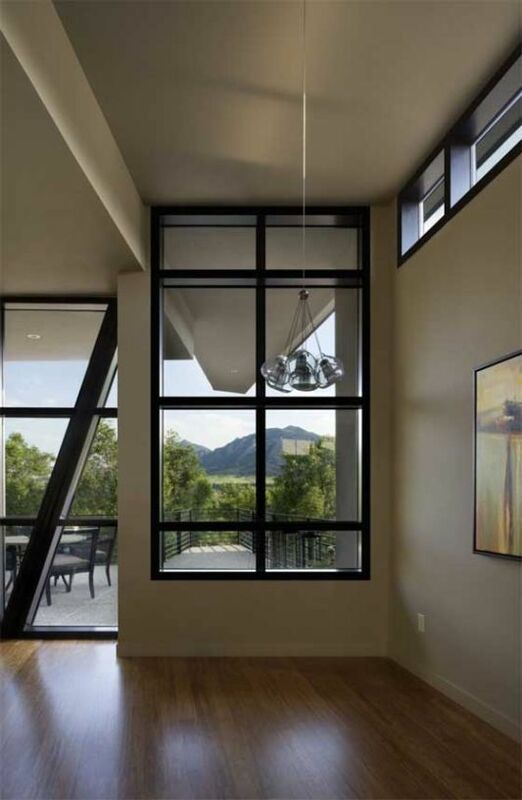 The view out of the house becomes more free, with a designed a large transparent window. Access between spaces is also made more open with not too many partitions. Using wood floors create a warm room last longer, this house is also equipped with a fireplace as a heated room. Design fireplace becomes a prime focus on living space. 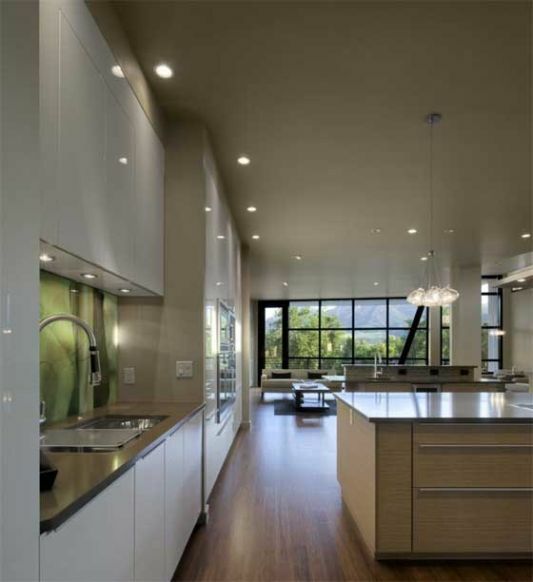 Modern kitchen design equipped with the play of light with a small lamp that quite a lot. 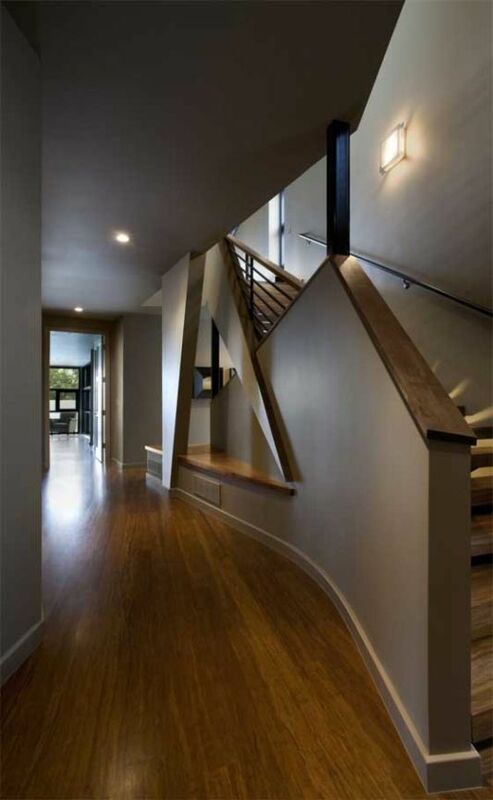 hopefully the pictures below can help you find inspiration for your dream home.